How much do I love the selvage for my next two lines with Robert Kaufman?! I never know what the selvage will look like, and its turned into my 2nd most favorite part of getting my artist samples. 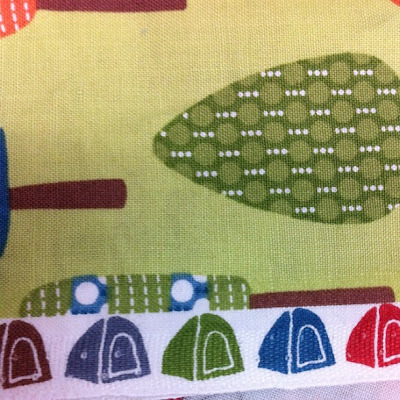 #1 is of course ripping open the boxes and petting the new fabric and #2 is giggling over the selvage. Don't be Crabby and Roughing It both will be available for shops to order later this month and will begin shipping at the end of the year. Ack, those are adorable selvages!! Love them! I've been known to buy fabric solely based on the selvedge! Fabulous! I too have bought fabric just for the selvedge! Oh my goodness! How cute are those!?! Will have to get some of this! Great design and just love, love the selvage for my "selvage stash". Oh I spy trees! yay!! I love me some trees. I know both lines are going to be cute- they are off to a great start with those selvages! 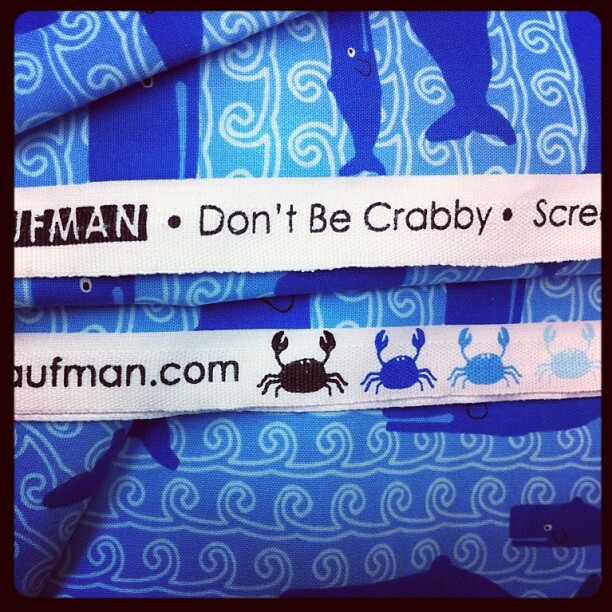 I can already tell I'll be buying the "don't be crabby" line! My son is crazy for anything ocean/fishing/water - related! You're right. Those are great selvedges. I love me a great selvedge, but your fabric is also some of the best.